Our multidisciplinary professionals help clients develop secure, reliable, integrated solutions to their software and IT needs. Samudra Software Private Limited is an international company based in Vizag, India and Columbia, Missouri, USA. We have significant experience in the financial services, educational technology and non-profit sectors. Our goal is to help businesses run better, faster, smarter and more reliably. Our applications are based on sound management principles and practices, and are grounded in processes that comply with Level III SEI requirements. We continue to satisfy clients by completing projects on time and within budget. From project planning to delivery, we provide cost-effective, efficient solutions to software and IT problems. Partnership with Monarch Media, Inc. – We have worked closely with this US partner for more than a decade. We have jointly developed interactive web sites, educational training sites, e-commerce applications, and customer database management. Together, we have maintained long-term and successful relationships with our clients. Monarch Media, Inc. is recognized for its creativity and dependable service. They design web sites that deliver a professional image and user-friendly interface, all supported by solid technology. Their knowledge of internet technology (including audio, video, graphics, database and interactive functions) is based on six years of experience. With assistance from Samudra, Monarch Media creates web sites that are attractive, fast-loading, reliable, cross-browser compliant, and effective. Peter Schneeberger, Director of Samudra Software, has lived in India for the better part of a decade. His commitment to India in general, and the state of Andhra Pradesh, in particular, makes fascinating reading. 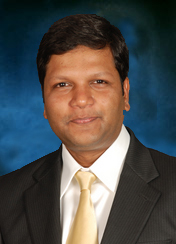 Nandu joined Samudra in 1999 and manages the day-to-day operations of its programming, multimedia, and quality assurance groups. 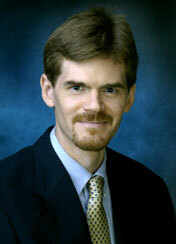 He specializes in building, training, and leading development teams. 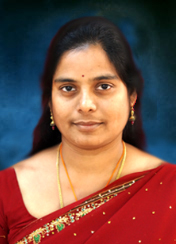 Kavita joined Samudra in 2000. Her first assignment was to manage Samudra’s maiden summer camp that it prestigiously organized for the students of IITs and IIIT, Hyderabad. Please send the soft copy of resume to jobs@samudrasoftware.com. Candidates are supposed to carry their hard copy of resume along with recent passport photo at the time of interview. All eligible candidates who send in their resume will receive an email notification about a screen exam date and time. The screening exam will have questions on Aptitude, English, and Fundamentals of Programming. We are looking for someone who has good experience (0-3 years) in the development and maintenance of native iOS Applications. Your primary focus will be development of iOS applications and their integration with back-end services. You will be working with other programmers who are already working on different layers of the infrastructure. Therefore, a commitment to collaborative problem solving, sophisticated design, and the creation of quality products is essential. It is needed to work in Samudra Software Office premises, located in Visakhapatnam. Fluency with Swift OR Objective-C.